Set cost prices in Veeqo for your products and every time an order is exported, we will create a journal in Xero to decrease your stock value and put into your COGS on your profit & loss in Xero. So you get accurate profits showing in Xero. 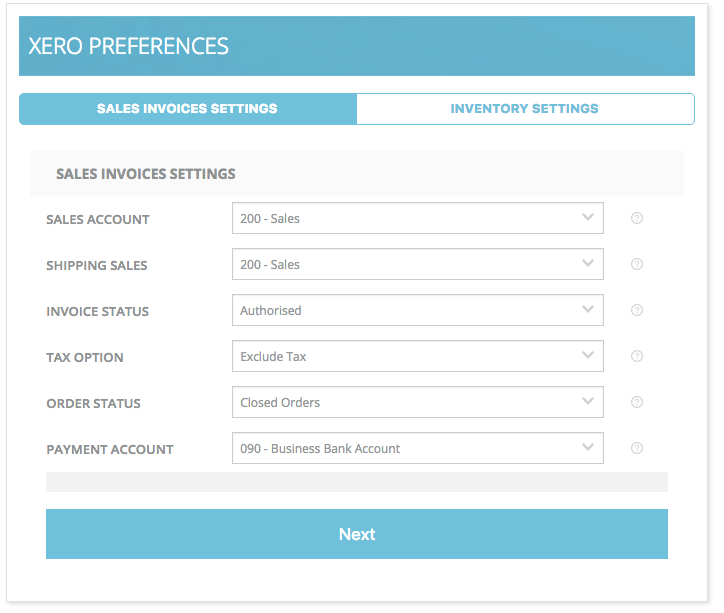 Create a purchase order to your supplier and we will create a supplier invoice in Xero. Map which accounts in Xero we should export your data into, we pull these from your Xero account. Before you connect Veeqo with Xero make sure the currency is the same in both. Xero has a strict 10,000 invoice per day limit but we find that around 1000 invoices a day is recommended for best results. It's important that with high volumes of invoices the sync is processed daily. 1. Hover over the Gear icon then click Accounts. 3. 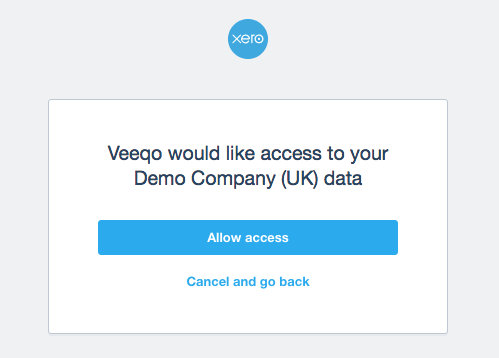 You will be re-directed to your Xero page, click the Allow access button. 4. After you have clicked the Allow access button you will be re-directed back to Veeqo where you will need to fill in your settings. Sales Account - Sales orders revenue (minus shipping sales). Shipping Sales - The shipping revenue you charged on your sales invoice to your customer. Invoice Status - What status the invoice should be saved in Xero, in draft, it will not effect your balance sheet until the invoice is amended in Xero to Published. Tax Option - Should Veeqo orders be exported with or without sales tax. Order status - Veeqo will export orders with these status values. Closed and Open = Shipped or Awaiting Stock or Awaiting Fulfilment or Awaiting Payment. Payment Account - Payments for orders should be saved to this Xero bank account or you can choose to not create payments from invoices. Inventory Account - When you purchase inventory from purchase orders in Veeqo, we will put the inventory value into this account. This is your stock account on your balance sheet. COGS Account - When a sales is created in Xero, Veeqo will calculate what you paid for that item and create a manual journal between your inventory account and your COGS account to move the inventory from your balance sheet to your profit & loss. 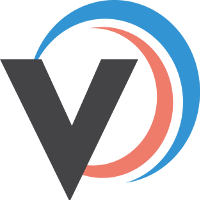 Inventory Purchase - When we sync a purchase order from Veeqo, this is the account used to create a payable bill for your supplier, this is normally called “Accounts Payable”. Stock - As your stock is displayed and updated in Veeqo this information does not need to be sent to Xero. Purchase Invoice Status - The status on the supplier invoice we create in Xero. Purchase Order Status - We will only sync purchase orders which match this status in Veeqo therefore completed means you have received the stock from the supplier. 5. 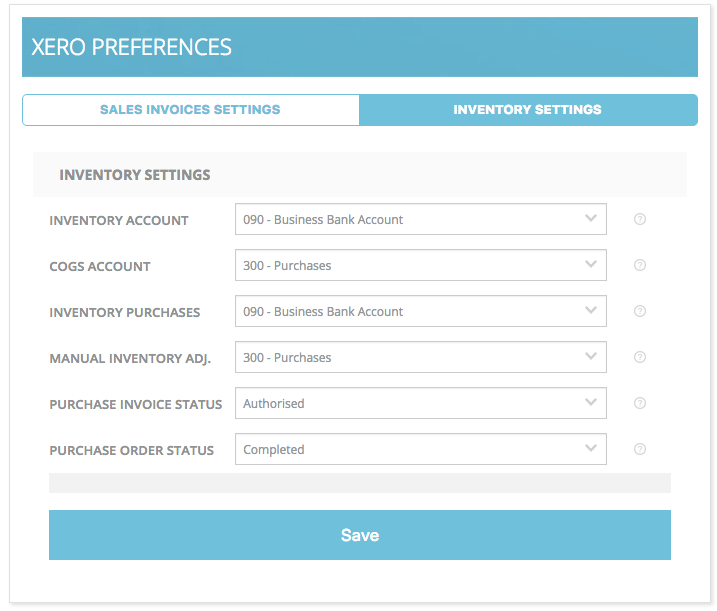 When you have filled in these sections click Save and you are ready to start syncing orders into Xero.